The vital need for proficiency in company growth was the catalyst for the emergence of the organization called the Front End of Innovation in 1993. The premise is that innovation is the starting point in which a business moves forward in creating sustainable success. It stands to reason that with proliferation of innovative products and services that there needed to be some management strategies. FEI provides the resources that innovation teams need to effectively manage these products and services. This year’s innovation event promises to be a very interesting and informative for anyone who is involved in innovation strategies or has an invested interest in innovation techniques. FEI 2017 will be held at the Seaport Trade Center in Boston, MA May 8th to May 11th. 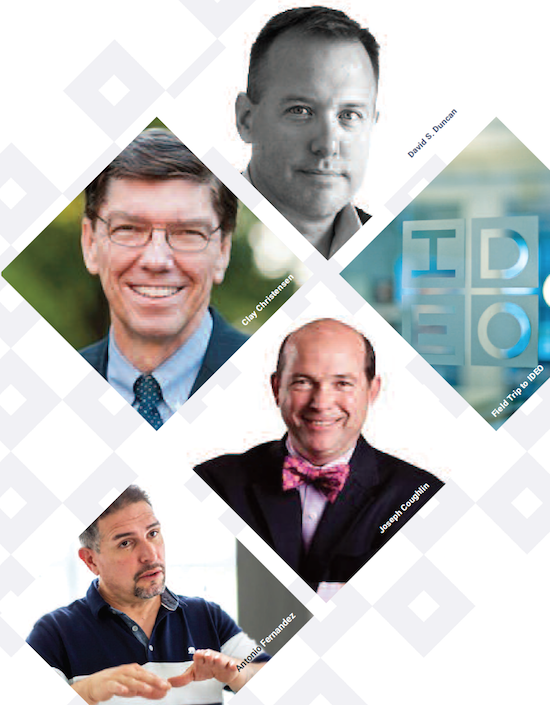 The Father of Disruptive Innovation, Clayton Christensen will be one of the keynote speakers for the event. He will discuss customer driven innovation and how you can win. His award winning books and experience fit perfectly with the theme of the FEI 2017 theme of transforming ideas into market winning strategies. Competing Against Luck: Do You Know What Jobs Your Customers are Hiring You to Do? Interested in learning more about Clay Christensen? Click HERE. Attendees to this innovation event can expect to learn some new ways to utilize innovation techniques to drive business growth. Innovation teams are encouraged to attend to connect with FEI’s high performance peer network. Many senior innovation management experts will be on hand to answer questions and provide needed information for innovation teams worldwide. Going beyond the initial innovative ideas to the finished results are the goals that this innovative event hopes to convey to its audience. The chief innovation summit provides a great outlook on the state of innovation from CIOs at Intuit, Avon, Dell and other large corporations. At the other end, attendees can get a good look at startups with MassChallenge Accelerator and the hottest new business trends. An interesting take away from these sessions that innovation teams can use is the challenges companies face with bureaucracy. Antonio Fernandez hosts this session by exploring how street gangs have driven changes in how businesses deal with criminal activities. Leadership Lessons from the Street: Commonalities Between Hacking the Culture of Criminal Organization and Fortune 500 Companies. Learn more about Antonio Fernandez and his thoughts on leadership by clicking HERE. This three day innovation event has a number of workshops that you can participate in and excursions to area businesses. The hands-on prototyping sessions and model challenges will help you with real world situations you may face every day. To register for this conference or to learn more about it; visit Front End of Innovation by clicking HERE.